A concert at the Village of Friendship Heights Visitor Center! 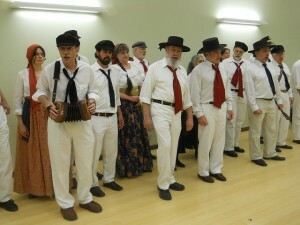 For their eighth performance at FHVC, the men and women of the Washington Revels Maritime Voices will present their new program, “American Songs of the Sea and Shore,” featuring homegrown music of American sailors and the women who sustained seafaring communities. The program includes sea chanteys, ballads, and songs of our nation’s inland waterways and harbor towns, with opportunities for you to sing along.